YA author Lori Pescatore is graciously sharing one of her characters from her Earth Blend series with our readers today. The first book, Human Blend (our review), introduced us to Laney/Julie and Austin and their fascinating world and abilities. Their incredible story continues in the second novel, Earth Blend, available now. We are currently reading this title and will post our review soon. 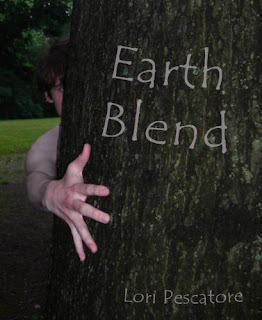 Here's the blurb: Earth Blend is the second book in the Blend trilogy and the sequel to Human Blend. In this installment, the mysteries of the Blends and Earthlings are revealed. How can Julie live a normal life when she is anything but normal? Her relationship with Austin is complicated by emerging abilities in them both. Trust is hard to come by as lies and secrets hinder them at every turn. Is the past destined to repeat itself as the Earthlings once again rush to save them? Ensuing chaos breeds fatal consequences. We welcome Lori Pescatore and Austin. 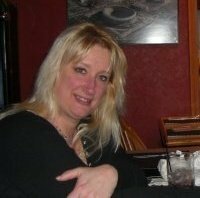 Lori: Hello, my name is Lori Pescatore and I am the author of Human Blend and the newly released Earth Blend. I have with me today one of the characters from my book. Austin, welcome. Lori: When we last saw you, you had some startling revelations about your ancestry. How are you dealing with all you have learned? Austin: I'm still trying to understand it all. I was just a kid from a small town in Virginia, or so I thought. I want to know why I was lied to. Secrets were kept from me and that really pisses me off. Lori: Who do you think has the answers you are looking for? Austin: My Uncle Gordi has some but I just feel like... I don't know. Everything has been dumped on me all at once. I feel like I just want to scream. Lori: Go ahead, I will cover my ears. Austin: Nah, it's okay, but thanks. Lori: I like your smile. What or who in your life can make you smile? Austin: Like I didn't see that coming. Julie, Julie makes me smile. Lori: In Human Blend you developed a relationship with her. Some readers felt the relationship began too quickly. What do you think? Austin: I was instantly attracted to her. I think she fell for my boyish charm and good looks. There was just this instant connection, like we belonged together. I think we both felt it. All I have to do now is make sure the Doc doesn’t get too close. Lori: You and Doctor Eli Elsworth got into a confrontation in book one. Austin: I know Julie feels something for him, but I think he is misreading it. He wants something more. It’s not going to happen if I have anything to do with it. Lori: What do you hope happens in Earth Blend? Austin: I hope I get answers and solutions because I’m not sure what to do now. What do all these changes mean? I’m sort of scared. Austin: Scared of me and who I really am. Lori: You mean being a Blend? Austin: More like not being the person I thought I was. Being something... different. Lori: I can understand that. Thank you for stopping in. Good luck on your quest for answers. Austin: Thanks, I think I'm going to need it. About the author: Lori Pescatore is a preschool teacher by day and a wife and mom by night. Although I love all of these titles, I can now add published author to the list of things I can consider myself. I was proud the day I got married, I was proud the day I gave birth to each of my boys, (now grown men) and I was proud when I got my certification to teach. My newest accomplishment in being a published author is my latest proud moment. Writing all my life for fun, family and friends, creating my own story and original characters has been a wonderful journey, one I hope is long lived. It is what I want the rest of my life to be about. Human Blend is the first of a trilogy of books in the romance/fantasy/science fiction genre. Earth Blend is the second title. Very interesting character interview, thanks for sharing! Great interview, Austin is such a cutey. These books are on my TBR pile, which is higher than my house.